Have you been considering keeping a few chickens? I'll be the first to tell you that it's a great idea! Chickens are very fulfilling animals to keep. They're fun, entertaining, lovable and they can provide food for you. But there are some things you should consider before embarking on your chicken keeping journey. Firstly, are chickens legal in your area? Many areas have restrictions on keep poultry in residential areas. Some towns require permits, some of which are free, others are not. Some laws restrict the number of chickens you can have based on property size, some prohibit roosters, and some restrict raising poultry on smaller lots. I often feel that many of those laws are too strict, but unfortunately laws are laws. Some still choose to get chickens even though they know their area doesn't allow it. If this is the case, be prepared for heartbreak if a neighbor complains and have a plan for rehoming. People are often surprised by how attached they get to their chickens. In my area, the law states that poultry cannot be kept on land less than three acres. Thankfully we have more than that. And we were lucky enough to be granted a variance that forever exempts our property from restrictions on livestock. Most folks in our town aren't aware of the laws on keeping poultry and I know many families who have chickens with far less land than three acres. So how do you find out if chickens are legal in your area? The best way is to read the zoning laws yourself. In many towns this can be done online, which makes it very convenient! Although if your town is like mine, you need to make a visit to your town hall and look through them there. Some people attempt to get the zoning regulations by simply calling the town hall, but often times the person answering the phone has absolutely no idea and gives incorrect information. Some towns require a permit to keep poultry which may or may not require a fee. It's also easier to plan a coop location in your yard if you know your towns rules on the coop placement (for example, if it must be 20 ft from a property line). Overall it's best to research local regulations early on to avoid any trouble later. So whats next?! You must consider how you will house your chickens. This includes choosing a spot in the yard and deciding what type of coop you will use. There are many pre-made coops available, but many of them are expensive and some are flimsy and will not protect your flock from predators.Although some of these coops can simply be modified for added protection. Building a coop yourself is a great option if you are handy! There are lots of coop ideas on BYC's chicken coop section. You can also check our pinterest board full of chicken coops. And also have a look at our coop page, where we included our tips and also some plans to build a similar coop. In order to choose a coop design, you must decide how many chickens you would like to have. And just a tip.. round that number up! A general rule is 5 sq ft inside the coop per bird, 10 sq ft per bird in the run, and a nest box for every 4 chickens. But more space and more nest boxes are always better. If you are not handy and the thought of building a coop makes you cringe, checking craigslist for a coop is another great option! Just make sure to fully clean and disinfect it before placing your flock inside it. Once you are all set with your coop, it's time to start thinking about getting some chickens! Not sure what breed is right for you? Check out Henderson's Breed Chart. This chart has some really amazing information that can really help you narrow down the types of chickens you may want. Once you make up your mind, you must decide where to buy your chickens. Some people prefer to buy started pullets or chickens that are already laying, but I really think it's worth it to raise them from chicks. There are tons of hatcheries that you can order chicks from, but there often is a minimum number of chicks than can be mailed, usually 15-20 depending on the time of the year. Although there are a couple of places that are willing to ship just a few chicks (My Pet Chicken is one of these). You can find hatcheries just through a simple google search. Another great option is checking to see if there is a local hatchery nearby or if a feed store will be selling chicks in the spring. 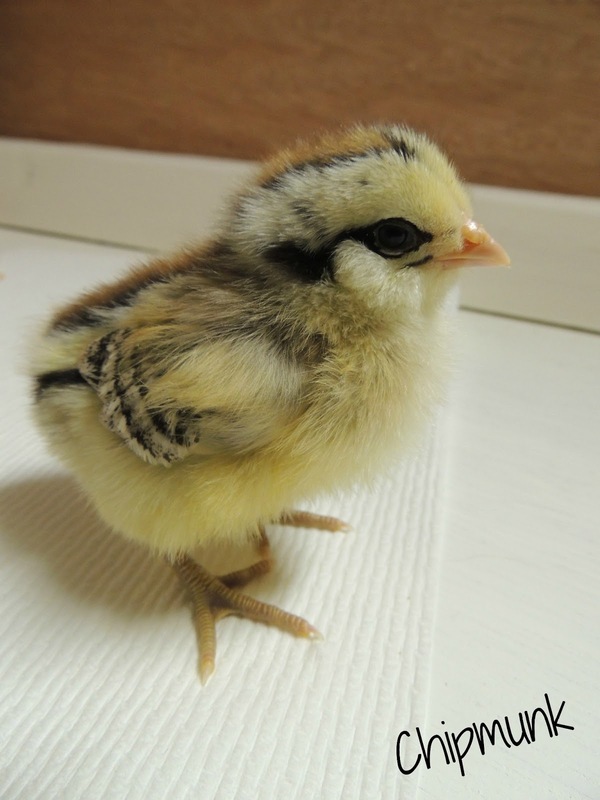 Most people are looking to buy sexed chicks, sometimes labeled as pullets. Don't buy straight run if you don't want to deal with the possibility of getting roosters. Definitely buy your supplies for chicks ahead of time and decide where you will keep them. A brooder is a place to raise chicks until they are old enough to go into the coop. Many people use something as simple as a rubbermaid bin with a screen cover, with a heat lamp over it. Some people use a kiddie pool or build a brooder themselves. There are lots of brooder ideas on BYC's brooder page. You must also get feeders and waterers for the chicks, as well as chick feed for them. These items can be purchased at local feed stores or a Tractor Supply if you have one nearby. The biggest piece of advice I can give is to read, read, read! Learn lots about caring for chickens so you aren't overwhelmed once you have them. There is so much information online as well as many books. Some websites with great information are Fresh Eggs Daily and Backyard Chicken. Raising your own chickens from chicks is very exciting! It may seem like a long wait until they start laying, but it is amazing to experience all the different stages as they grow up. And if you have children, this is an unforgettable experience for them. By raising them yourself, as opposed to buying started pullets or chickens already laying, is you can really socialize them! Our chickens love attention and are incredibly friendly. We have handled them daily ever since they were chicks, and you can tell that they enjoy human contact. Collecting eggs from your own chickens is incredibly rewarding! Eggs are one of the healthiest foods, and the taste of fresh eggs from your own chickens cannot be matched by old grocery store eggs. But just so you can't say I didn't warn you, there is a downside to raising chickens. It often times leads to an addiction... of wanting more & more chickens!